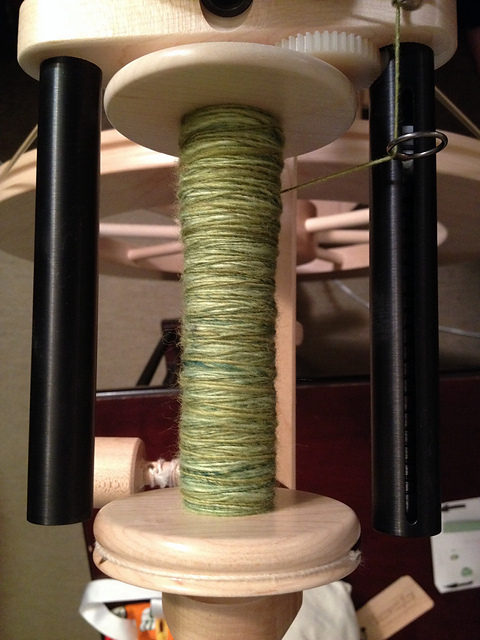 One of my fibre goals for this year was to spin more. Spinning always seems to take a back seat to knitting for me, and even more so recently because I had deadline projects where spinning always has less of a sense of urgency. When I finally did manage to pick up spinning again recently after a several month long hiatus, I got quite discouraged as I was finding I was encountering some difficulties that I hadn’t previously. I had started using some Schoppel Wolle pencil roving that was a gift from my mother in law for Christmas, thinking this would help me get back into the swing of things after such a long break…I mean, predrafted fibre…what could possibly go wrong? Instead my yarn was dissolving in my hands any time I pulled on it at all, but it didn’t seem woefully underspun. Time to call in the expert! Leslie Ordal, my first-spinning-class-teacher-turned-friend, offered to come take a look, and Shireen thought this would be a great chance to come learn how to spin on a wheel. So the three of us convened at my place on Saturday, with Shireen and me ready to absorb the knowledge imparted by the pro. 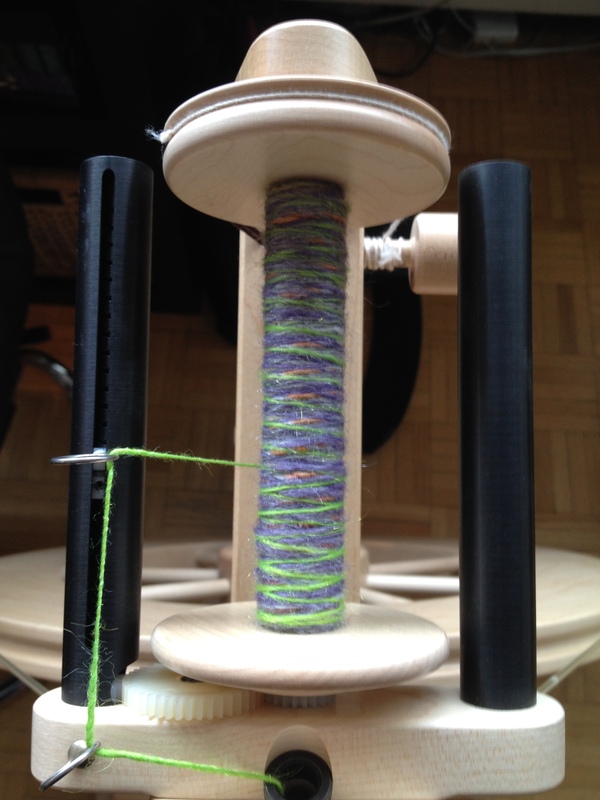 This was the inaugural use of my new WooLee Winder (more on this miraculous device at another time! ), so I put on an empty bobbin and spun up some new fibre, using some bits and bobs samples I had lying about. I showed Leslie what I had been doing and she decreed that overall, I was doing fine and that while I should probably be putting a little more twist into it, she could not see what was causing the issue. And this new yarn wasn’t falling apart. So I showed her the bobbin with the pencil roving and she immediately knew what had been going wrong. The fibre had tweed-y slubs in it, so when I was spinning, most of the yarn was spun with enough twist, but the slubby parts, because they were thicker, not so much. Those were the parts that were falling apart. Not bad at all, considering I hadn’t spun in ages. I spent about an hour last night spinning away in front of the Penguins/Rangers game and I am planning to set aside some time each day to try and move my spinning forward. 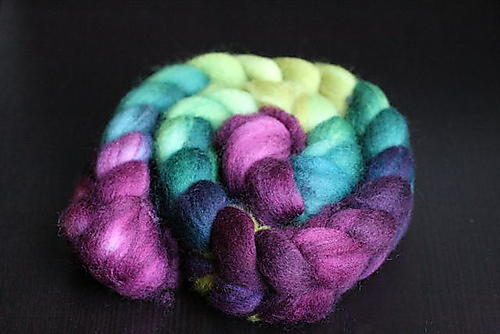 This entry was posted in Uncategorized and tagged fiber, fibre, handspinning, lendrum, merino, roving, spinning, top, woolee winder by Rayna. Bookmark the permalink.